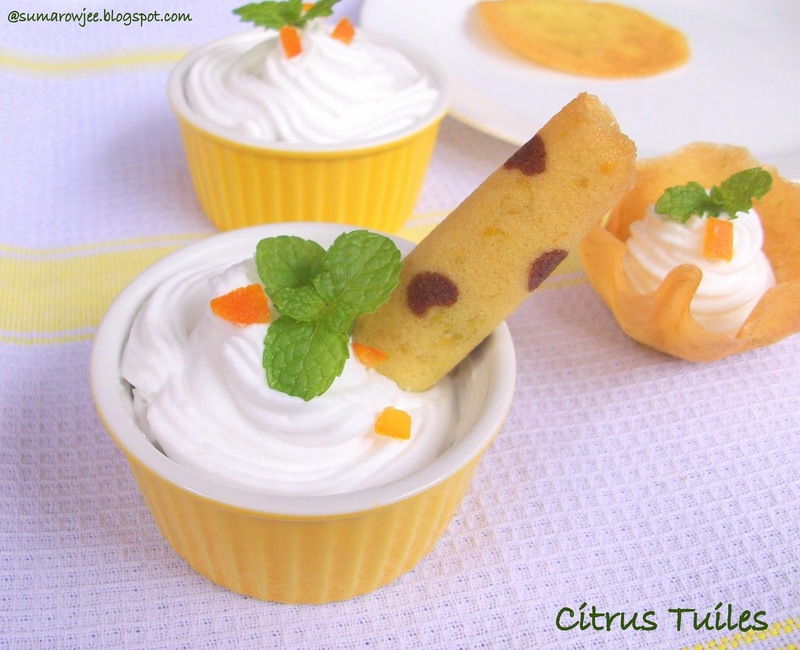 Cakes & More: Citrus Tuiles - Delicately Delicious! OMG !! These are awesome, been wanting to try making these since I saw them on Masterchef Australia...You are really amazing at baking, please go ahead and join the Daring Bakers, if you haven't already !! You have very nice blog..I have tried some of ur receipes, it came out very well. Your info on items available in blore is really helpful. I need to know where i can get dark chocolate in whitefield. 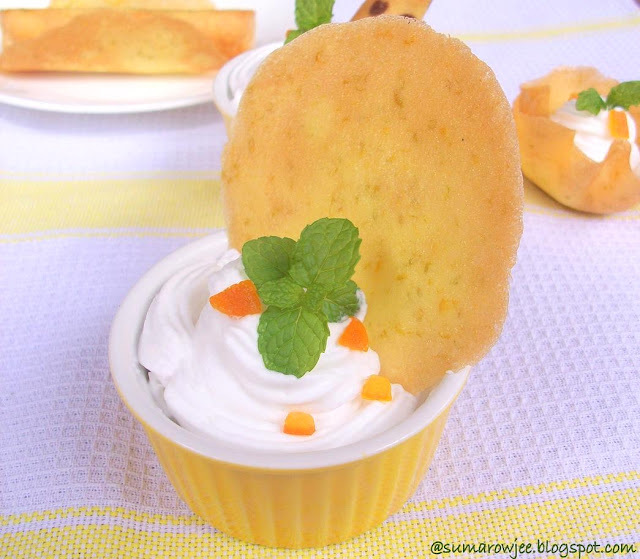 And also could you suggest the best baking books for the beginners bcoz sometimes my baking ends in disaster. Last but not least...I really enjoyed ur tips on yeast. 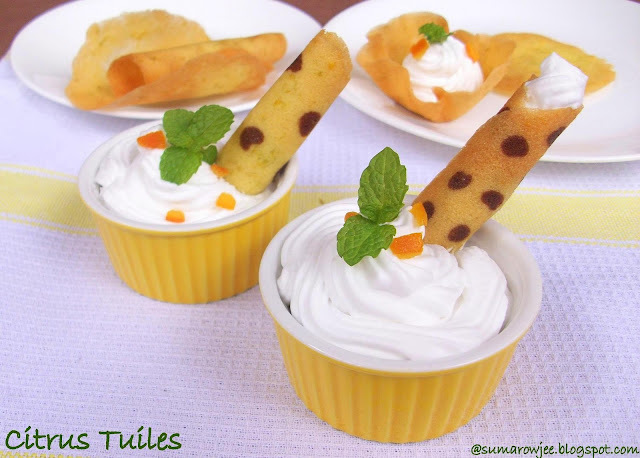 Tuiles looks fabulous and prefectly done..
Yummylicious but amateur cooks are likely to fail trying out a delicacy like this. Can we have recipes for amateur cooks too? 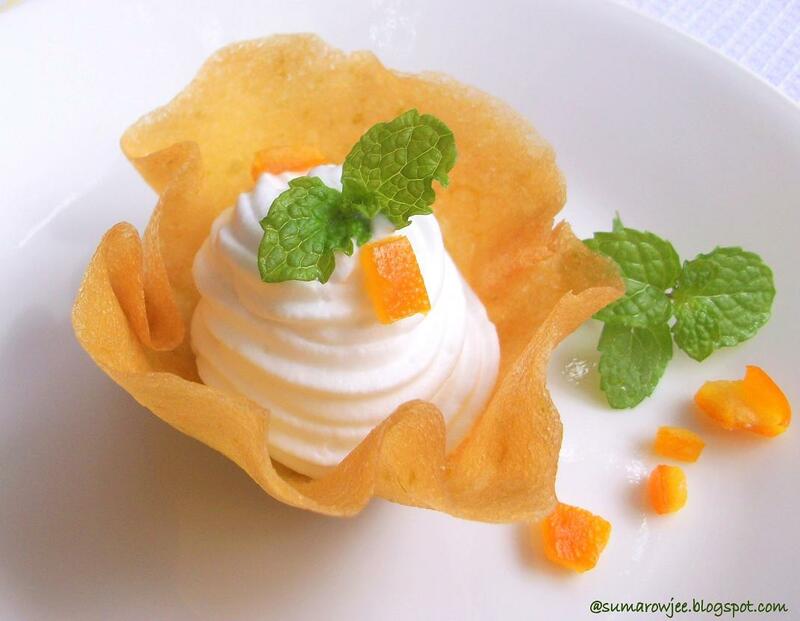 Those tuiles look so good. Well done. I did tuilles for a DB challenge ages ago and they were TOUGH! Yours are gorgeous. 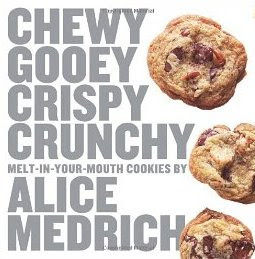 Must make them soon...wow!